What is the first thing that comes to your mind when I say QR Code? You might think of a black-and-white square you see on hoardings and product packaging. Most use cases you think of are related to print marketing. But QR Code usage is not limited to marketing only. 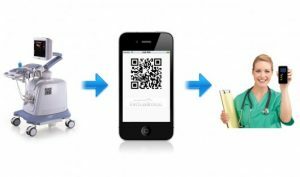 QR Codes are an active part of industries like retail, education, pharmacy, hospitality, and now health care. Hospitals might not always be able to reach family and friends of accident victims. Little to no information of the victim’s medical history can cause a delay in treatment. What’s worse is the chance of misdiagnosing. 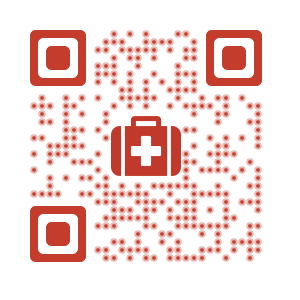 QR Codes can help doctors in such critical situations. ID-Life is a QR Code tag generator located in Singapore. Founded by B.K. Lim, the QR Code tags encode user’s medical history. The QR Code will also include the contact details of the user’s nearest kin. Users can wear the tag around their wrist like a band. LogBox, a start up from South Africa helps patients and doctors get rid of excess paperwork. The Log Box app allows patients to store their medical history on a QR Code. The patient can share the QR Code instead of filling out forms. The app is available on both Google Play Store and iOS. In Saitama Prefecture (Japan), the city administration distributed QR Code stickers to help dementia patients. 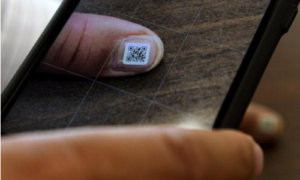 The QR Codes are so small that they be stuck to the patient’s fingernails or toenails. Also read: How a QR Code can save your life in emergencies. Drug counterfeiting is a global menace. 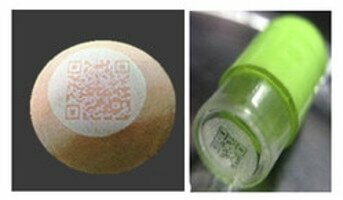 Researchers in China have developed 3D ingestible QR codes to address this concern. The QR Codes are laser engraved on the polymer sheet and can be stuck on a capsule or tablet. Scanning the QR Code will allow users to authenticate the drug. The initiative requires further research before making it available to pharma companies. Also see how All India Institute of Medical Sciences (AIIMS) adds QR Codes to medical certificates for easy authentication. QR Codes on medical equipment saves operators the trouble of reading introduction booklets. The QR Code can link to videos and other information about the functioning of the machine. This way, operators can learn more details in a shorter span. An example of this use case is Onescanmedical. 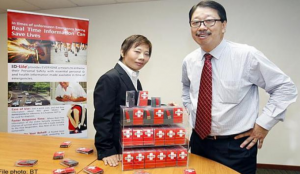 Onescanmedical helps consolidate medical data onto a QR Code. This helps faster access to information. Hospitals can place QR Codes near the reception area to engage patients waiting for their appointment. The QR Codes can link to information on the treatments offered. QR Codes can also share information about the doctors at the hospital. An example of one such use case is The American Society for Gastrointestinal Endoscopy. They use what they call the ‘While-you-wait-QR Codes’. 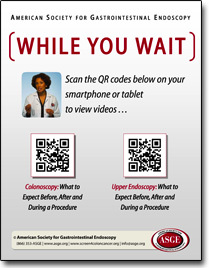 The QR Codes link to videos showing the procedure of Colonoscopy and Upper Endoscopy. As another example—in Jun 2014, Dingxiang Community in Hefei City gave 1,400 QR Code badges to senior citizens. The RQ Code links to wearer’s details such as name, address, and contact number. 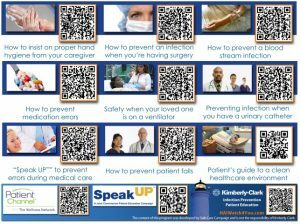 A QR Code chart with medical tips can also help patients. These QR Codes can link to informative text and videos. When it comes to health care, getting the right information is critical. With 91% of ePharma users owning a smartphone, using QR Codes will make it easier for them to access that information. If you are a part of the healthcare sector and wish to make information easily available to your patients, use QR Codes.